Listen to “Escape Plan” from the duo’s about-to-drop new LP. 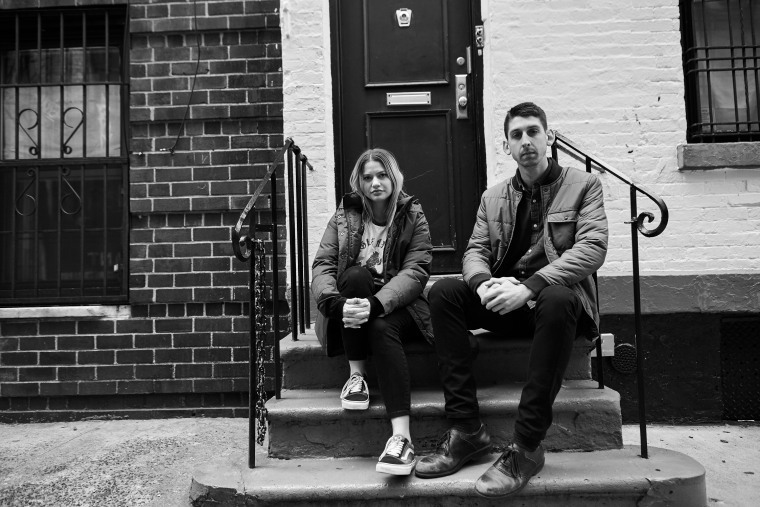 Tigers Jaw has undergone many a member adjustment over the years they've been active, and on their upcoming spin LP, there are just two of them that remain. From the sounds of it, Brianna Collins and Ben Walsh seem to have spent the last three years revisiting the gritty pathos that made them so widely appreciated in the first place, as evidenced by "Escape Plan," their latest single, premiering below. "It feels like all my life, I'm running from the same things," Walsh sings on the track, his words foreshadowing the percussion that ends up bursting the tension. With its confessional lyrics, humming sense of dread, and wailed chorus, "Escape Plan" sounds like a return to the "Chemicals" days of lore. But thanks to the matured emotional capacity that will inevitably result after an almost-decade, the duo sounds fresh, honest, and self-aware. spin is out 5/19 on Black Cement Records.